TSHs Prince Albert II and Princess Charlene of Monaco Attend a Cocktail Party. 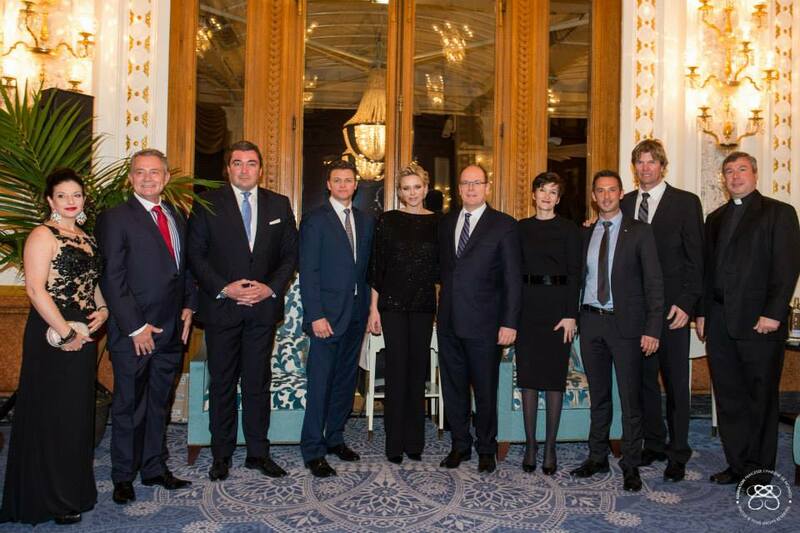 On Thursday, February 19, 2015, Their Serene Highness Prince Albert II and Princess Charlene of Monaco arrived at the Casino de Monte-Carlo in Monaco to attend a cocktail party in honor of the births of the princely twins, Prince Jacques and Princess Gabriella. 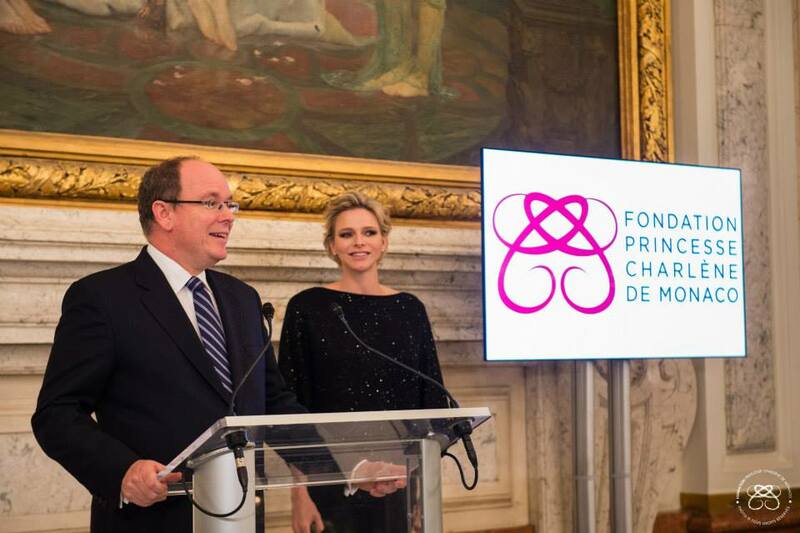 The event was organized by the Fondation Princesse Charlène de Monaco (FPCM). “…implements ‘Learn to Swim, ‘Water Safety’ and ‘Sport and Education’ programmes worldwide. One of the main projects for 2015 is the ‘South Africa – Monaco Rugby Exchange’. Underprivileged South African children, who were chosen based on their athletic achievements, have been invited to the Saint Devote Rugby Tournament which will take place on Saturday, April 11, 2015, thanks to a collaboration with the South African Rugby Legends Association (SARLA). The Fondation Princesse Charlène de Monaco will be welcoming this team to the Principality and will in turn be able to send a Monegasque team to South Africa this coming summer. Previous (VIDEO) Members of the Swedish Royal Family Attend Day Two of the FIS Nordic World Ski Championships. Next (VIDEOS) TMs King Philippe and Queen Mathilde of Belgium Visit Institutions of the European Union.